A lot of horror movies have misleading titles. The Monster That Challenged the World , for example, merely bothered a small boat. One thing I can say in defense of The Giant Spider Invasion is that its title is not technically a lie. There are spiders that are ecologically invasive, and one of them is indeed effing huge. That’s about the only thing impressive about it. The spider, I mean. More on that later. The film takes place in northern Wisconsin, primarily to take advantage of director Bill Rebane’s house, environs, and neighbors. Such is the way of independent filmmaking, and I’m not going to naysay the practice. His property stands in for a farm passed down to Dan and Ev Kester (Robert Easton and Leslie Parrish) from her father. Their land is ground zero for a black hole that starts tossing out spiders from another universe, safely packed for travel in geodes. The Kesters watch the black hole land. Stop laughing, this is science! Drs. 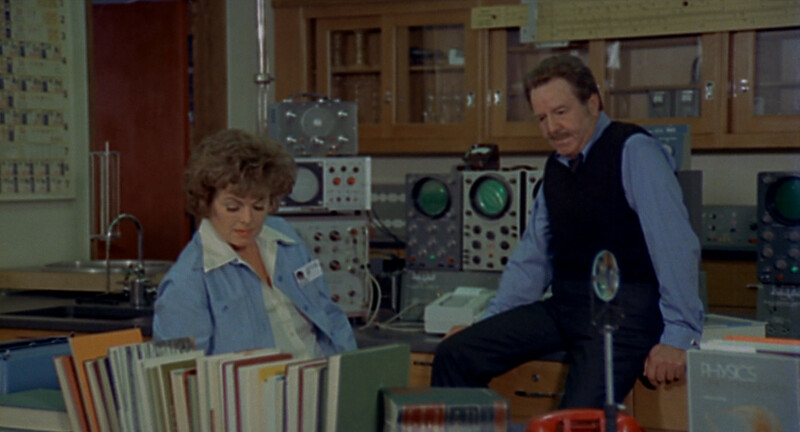 Langer and Vance (Barbara Hale and Steve Brodie) assure us this is the case, and they have a cockamamie plan to seal the black hole. They also have a spontaneous quinquagenarian romance, because nothing turns on astrophysicists like spider-spitting singularities. Dr. Langer and Dr. Vance make sweet science. Ev mixes a Bloody Mary without realizing there’s a spider in the blender. Actually I want to talk about that. This may be the very first Jaws ripoff. If not, it likely missed by only a few hours. Only four months separated the release dates of these two films, so The Giant Spider Invasion must have already been in preproduction. Yet there was enough time to insert a line of dialogue where the Sheriff Jones asks Dr. Vance if he’s seen the movie, because their spider makes the shark look like a goldfish. I have an informal rule about movie scripts, based on years of overexposure to crap cinema: never mention a better movie, because the audience will realize they should be watching that instead. This goes doubly when the better movie is still in theaters, as was the case here. Rebane has said that being part of the community made it easy to get the cooperation of the town festival for filming. I have to wonder though if using the event had been in the script all along or if it was an deliberate insertion to capture some of the feel of Jaws . Since independent filmmakers make use of whatever they can, my default assumption is that it came about through sheer opportunity and coincidence. Whatever the case, seeing a horde of people running away from the ridiculous giant spider sells the threat more than anything else in the film. Terry asks Cousin Bill to examine her diamond. Most of the spiders in the movie are male and female red knee tarantulas. One seen during the destruction of the Kester farm was clearly feeling stressed, since it had rubbed its back nearly bald. For the most part though, they crawled happily on the counters. Even as an arachnophobe I have to say there are some shots that really show off the spiders’ vibrant colors. It’s a bit odd that such a cheap movie got the lightning and color processing right to get such nice footage of these beauties, but it’s a welcome surprise. Dan and Ev find geodes near the black hole’s crater. The bigger spiders are increasingly terrible puppets. The one that springs out of a drawer and the one that drops from the rafters of the barn are seen only briefly, which is probably a mercy. 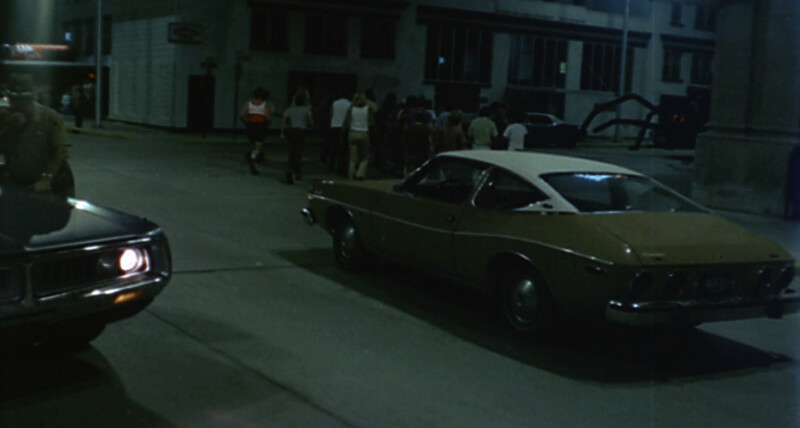 A large one that drops on a car is pretty bad, but the piece d’resistance the one that Dr. Langer calls the “queen bee”. I have to give credit for the ingenuity of mounting it on a VW Beetle. That’s nearly a perfect shape for a spider abdomen. Unfortunately it makes the the thing come off as a Halloween float, especially with the kids inside waggling the legs. It’s a nice try that almost works in far shots. It genuinely would have been better to spend the money on masking tarantulas into the town and crowd footage. 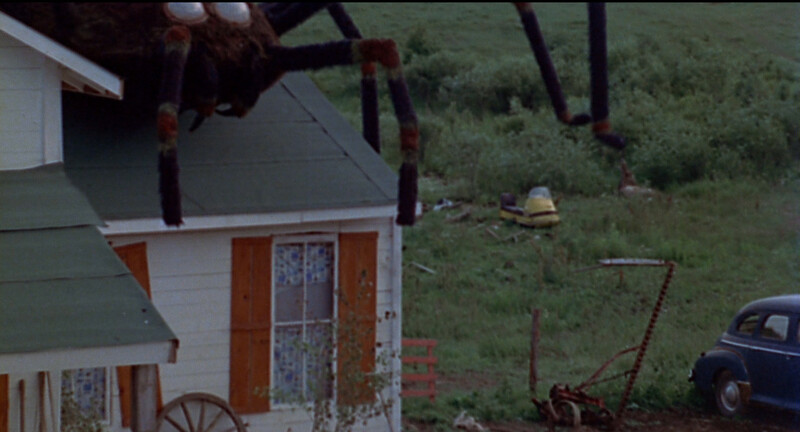 The Giant spider attacks the Kester farm. 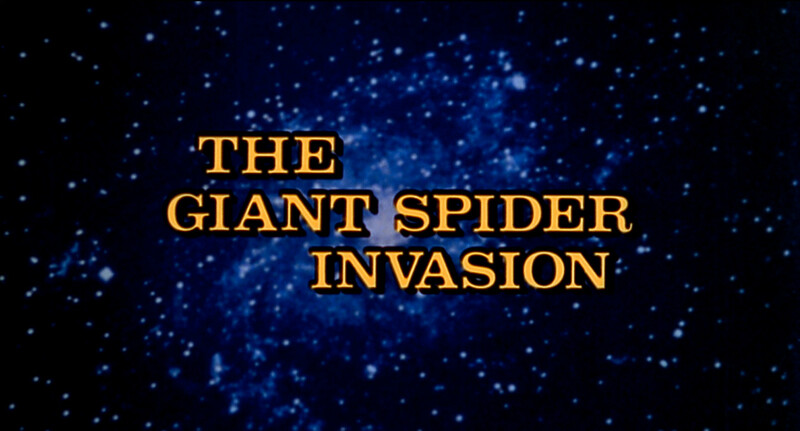 A lot of people know The Giant Spider Invasion from Mystery Science Theater 3000 , and it’s a film that seems made for riffing. The effects aren’t very good, the dialog is painful, and the professional actors look like they have some regrets — except for Alan Hale, Jr. who seems to be having the time of his life. Here’s the thing, though: I love this goddamn stupid movie. A bunch of people at the low end of the film business decided to go for broke on a goofy monster movie, and they roped in aging celebrities to give it some name recognition. (At the time Barbara Hale was still well known for her recurring role in Perry Mason and Steve Brodie had a long career in major roles for film and TV.) While the script and effects are poor, the other production values are fairly high. It’s a movie that could be remade to improve on its failings, but I’d be afraid of losing its charm in the process. 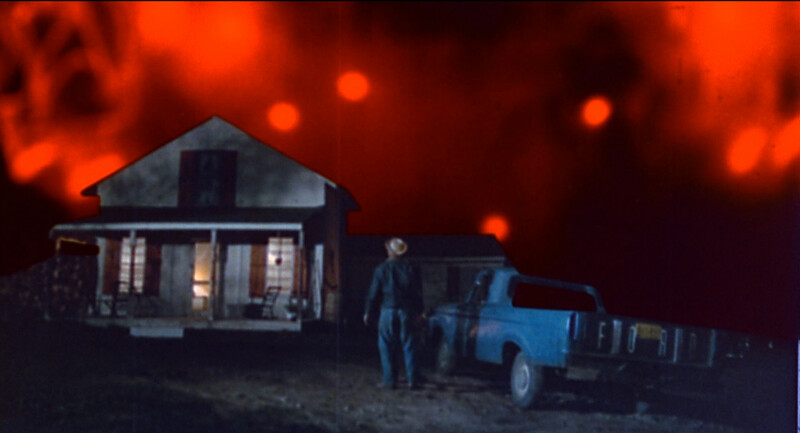 Having only ever seen the MST3K print, I’m really struck by the saturation of those screenshots. Did you do that in post, or does it really look like that on the DVD? Personally, I was always slightly disappointed that the “Giant Spider Invasion” involved only one actually-giant spider and a whole lot of spiders that were just a little on the big side. But man, I love the hell out of the fact that the emotional core of this film is the budding romance between two frumpy, middle-aged scientists. More monster movies – hell, more movies in general – need a subplot about a pair of frumpy middle-aged people falling in love. The new bluray transfer is really nice. I didn’t do anything to it but take the screen capture! It was a special edition thatbcame with a reproduction of a 4-page promotional comic and a CD of a musical soundtrack inspired by the film. The scientist romance is oddly sweet, isn’t it? It’s a lot more convincing than the teenagers, too, but that may have more to do with the experience level of the actors.